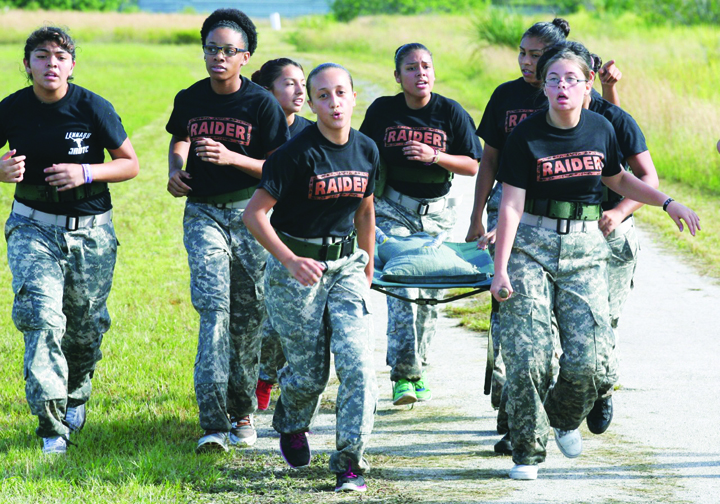 Close to 500 cadets from five county areas competed for top honors late last month during the Third Annual JROTC Invitational Raider Meet. By the numbers, the cadets represented 20 schools forming 38 teams from East Bay, Lennard, Newsome and Plant City High School to name a few. According to event organizers, the competition hosted by the South County Career Center (SCCC) Army JROTC “Bobcats,” located at 2810 John Sherman Way in Ruskin, measures up the physical as well as emotional stamina of each individual cadet, while put to the test of their commitment to work as a team, support each other and take the lead. 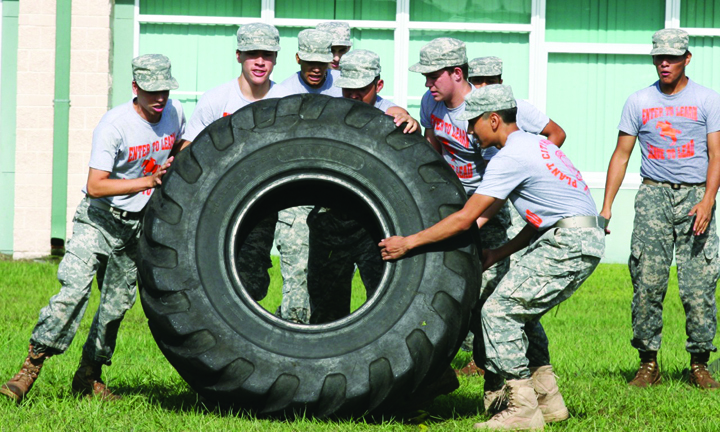 The competition combines physical fitness with team building and problem solving. Each participating JROTC program will bring up to three teams of 10 members and will compete in three categories: Male, Male Mix, and Female. Coles added that the mission of JROTC is to motivate young people to be better citizens. “The Raider competition provides purpose, direction, and motivation to support the process of Cadet’s improving their minds and strengthening their bodies,” he said. Lennard High School JROTC Instructor Lt. Col. Robert Procton spoke highly of his cadets and what the competition helps accomplish. Proceeds from the event support Wounded Warrior Care Coalition from MacDill Air Force Base. For more information, call 569-9065.